"Your magic performance at our Awards Dinner was the highlight of the evening!" -Jane Baseda, Toyota Motor Sales, U.S.A.
An AMAZING EVENT Is No Illusion With Our Magicians! 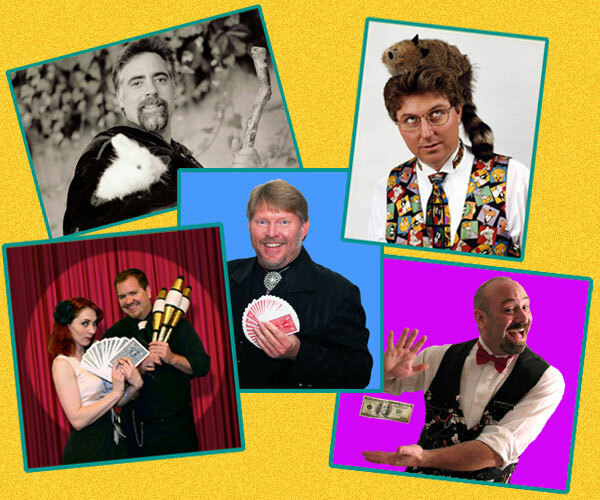 Our performers are EXPERTS in magic and comedy FOR ADULTS! Our magicians are members of the MAGIC CASTLE, and will Astound your guests with their Jaw-Dropping Skills! Technical Skills – From sleight of hand to stage productions, our magicians are masters of their craft. Comedy – People love to laugh! Many of our magicians have extensive comedy backgrounds, transforming tricks into hilarious routines. 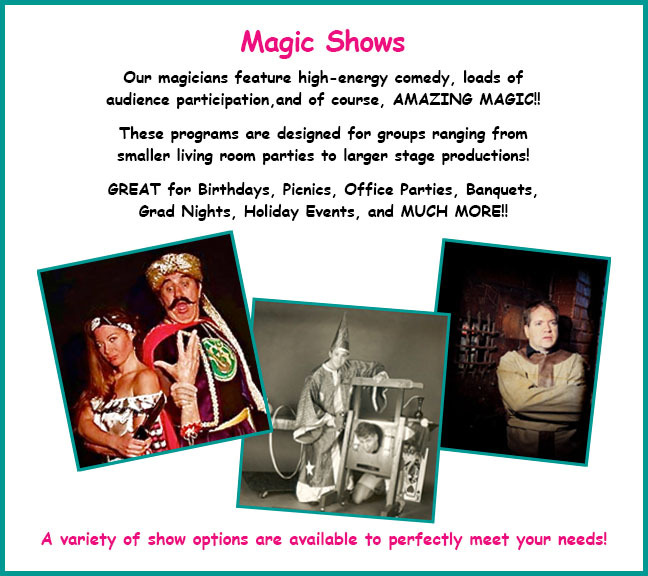 Themes – Some of our magicians even offer a variety of themes & costumes, including holiday themes. If you have a unique theme for your event, just ask! 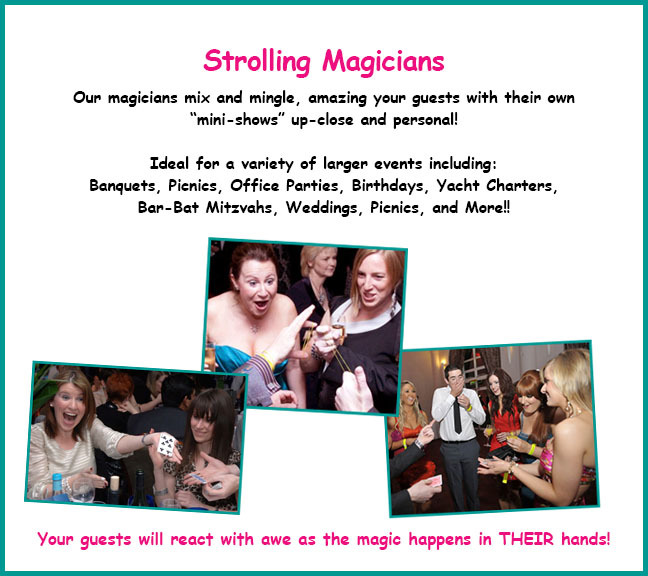 Our Magicians are GUARANTEED exceed your standards because they are required to meet ours! We offer two types of programs best meet your needs! COMBINE BOTH for even MORE specatcular event!